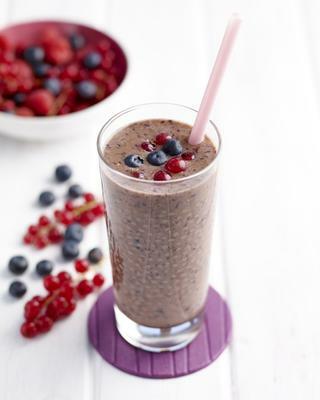 Berries are in season now, so make the most of them! Put all the ingredients into a blender, liquidiser or nutribullet and blend till smooth. Drink immediately or chill for later.